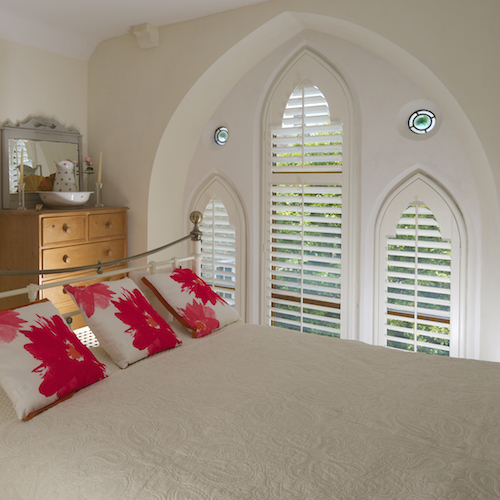 Welwyn Plantation Shutters from your local shutter expert Tom Parrott. Tom is a life-long shutter expert having worked in every aspect of their design, manufacture and installation. If you are considering shutters for your home then we are very pleased to introduce you to our shutters – the finest in Welwyn Plantation Shutters since 2006. We have built an enviable reputation across the south, and it is our dedication to quality products and exceptional customer service that has earned us this. The first thing people notice about shutters is the impact, the light, space and style they add to a property, but of course the features and benefits do not end with the beauty. Shutters are incredibly practical and offer a virtually maintenance free solution to your windows. Unlike traditional curtains and blinds, shutters are incredibly versatile, hard wearing (you will not see them warp or fade), they are wipe clean and offer additional privacy and security. Whilst shutters are a quality product they are very long lasting; so confident are we that Just Shutters offer a lifetime guarantee – giving you security and peace of mind. While you own the shutters you have Just Shutters there to ensure your satisfaction. Just Shutters Hertfordshire – Welwyn plantation shutters and beyond! Our Hertfordshire expert covers the whole of the county and a little beyond, so whether you are in Welwyn, Welwyn Garden City, St. Albans, Hemel Hempstead, Stevenage, Woolmer Green, Knebworth or any other local town or village we are the local experts you can trust. To see a map of all areas of operation please click our map. Thanks the shutters look great, we’re really pleased with them, and also I noticed you hoovered the carpet and left the place very neat and tidy, which I really appreciated! The service before and during installation was very good, delighted with the finished product. Great service. Quality product, an unforeseen problem was dealt with swiftly and efficiently. Plantation shutters to master bedroom and TV room. Courteous, efficient, excellent installation, very happy with the product. Unreserved in recommendation. Installation of five louvred window shutters. Helpful first appointment. They listened to my needs. Fitting took place 8 weeks later, as they described. Fitting took three hours. A job well done. Supplied and installed to kitchen. It was an absolute pleasure dealing with Ian from Just Shutters from beginning to end. I would highly recommend him to friends and family and will definitely be using Just Shutters again. First class service throughout. They had some tricky designs to get right but he did. Brilliant, overall I can’t fault him or the product. Installation of shutters in our writing room. Overall I am very happy with our shutters and the service we received.